I am posting today my card for the Craft for the Craic challenge 'Colour Inspiration'. 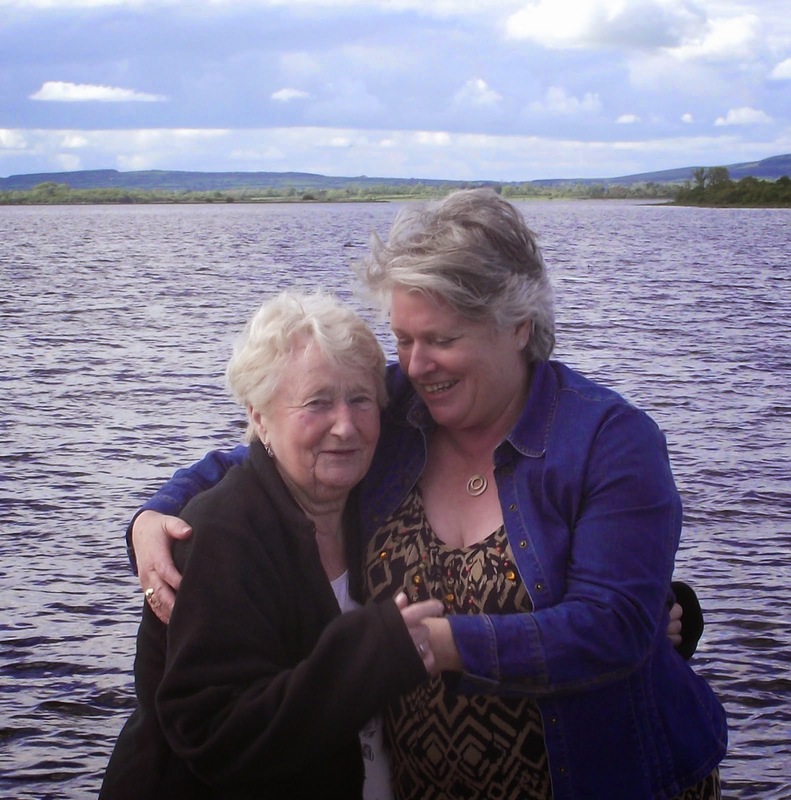 My Mojo has departed for sunnier shores for the summer and I have been struggling with getting crafty again. The photo inspiration challenge has got me moving and I am pleased to have created something to blog about. 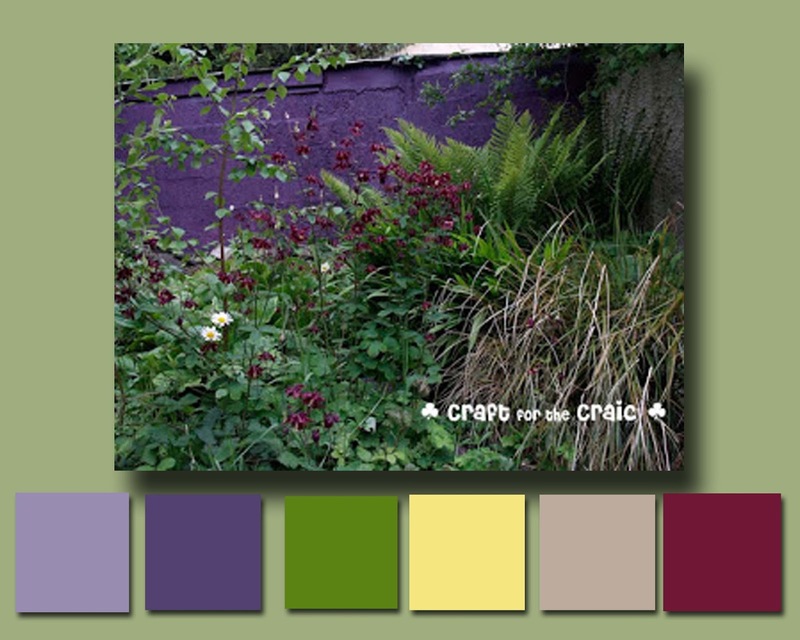 The Craft for the Craic challenge is are asking you to craft anything you like in whatever material you like, that incorporates the colours in the photo below. I made some colour blocks to help me focus on the colours. It came in handy. Here is my card for the challenge. 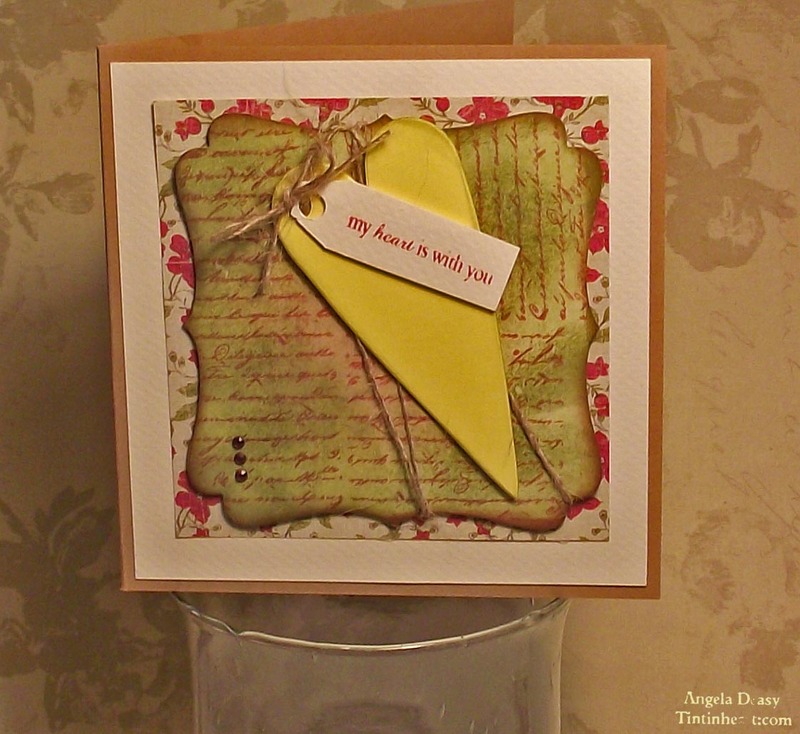 'My Heart is With You' is a 5x5 Kraft Card base with a cream and and patterned backing -paper background. The Go Kreate die 'Frilly Square' inked with Ranger distress ink ''Peeled Paint' and then stamped with Crafty Individuals text stamp in Rhurbard ink. The heart was die cut from yellow card stock with the edges distressed with the Peeled Paint ink. I hand cut the label which was stamped with a sentiment from Verve Stamps. The challenge closes soon so pop over to the Craft for the Craic challenge blog and check out the great DT makes for inspiration. Thanks for stopping by and reading my blog. Your time and comments are always appreciated.